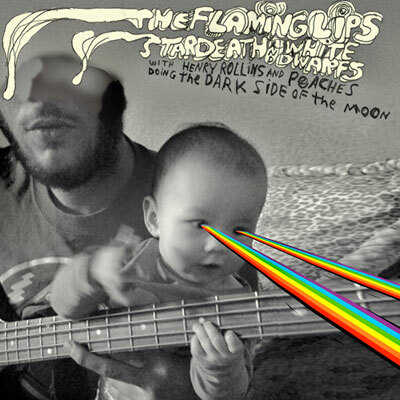 Just before the new year (Dec 22, 2009), The Flaming Lips quietly released the digital only LP, The Flaming Lips and Stardeath and White Dwarfs With Henry Rollins and Peaches Doing The Dark Side of the Moon, which was their own unique take on Pink Floyd’s classic album, Dark Side of The Moon. Though the album was performed live in its entirety at the band’s New Year’s Eve Freakout! in Oklahoma City, it remains to be seen what kind of set The Lips will be doing when they play the Wellmont Theatre on Apr 19, 2010. (I’m just guessing here, but I imagine it will be a more of a typical performance, as opposed to full-on Dark Side show.) Tickets for the Wellmont Theatre show go on sale Friday, Jan 29 at noon. Some Flaming Lips tour dates (more are sure to be added) and a track list for Dark Side and tour dates after the jump.